Reservations can be made on line 24/7 from any cabin page. Mountain Resort Cabin Rentals would like to welcome you and your family to come and visit our quaint town of Ellijay. Enjoy staying in our beautiful cabins inside the Coosawattee River Resort located in the North Georgia Mountains. We are only 90 minutes north of Atlanta and 30 minutes south of Blue Ridge. Enjoy the many amenities of the Coosawattee River Resort when you stay in our rental cabins. Mini golf, tennis, basketball, fishing, tubing down the Coosawattee River, picnic area on the lake, play ground, fenced in doggy park, 2 outdoor pools, 1 indoor heated pool, video arcade, pool tables, ping pong tables, air hockey table with a complete exercise gym and more. Visit www.coosawattee.net for more information. 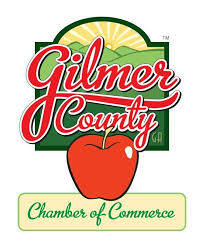 Ellijay is known for its "Apple Festival" which will be held in 2019 on October 12th & 13th, and October 19th & 20th. During these weekends you will enjoy seeing beautiful handmade items and eating homemade goodies! There are hundreds of vendors with unique hand-crafted items as well as on-site demonstrations of how selected types of crafts are made. There is also a parade and antique car show. Downtown Ellijay boasts many antique shops and the best southern restaurants. Enjoy horseback riding, white water rafting and an 18 hole golf course. Visit our beautiful waterfalls or go panning for gold in Dahlonega. The town of Blue Ridge, Georgia is only 30 minutes North with a "MUST" do Blue Ridge Scenic Railroad ride through North Georgia and Tennessee. Enjoy your North Georgia Mountain Cabin Vacation. We look forward to seeing you! !